As a fully paid-up, card-carrying magician I have always obeyed the first commandment of magic and never reveal a secret. I just hate to do it—so I don’t. In this weeks column I am going to flat out break this code. I am going to give away one of the best-kept secrets in magic. Well it may not be a strict secret but it is such a great show that I just have to spread the word. 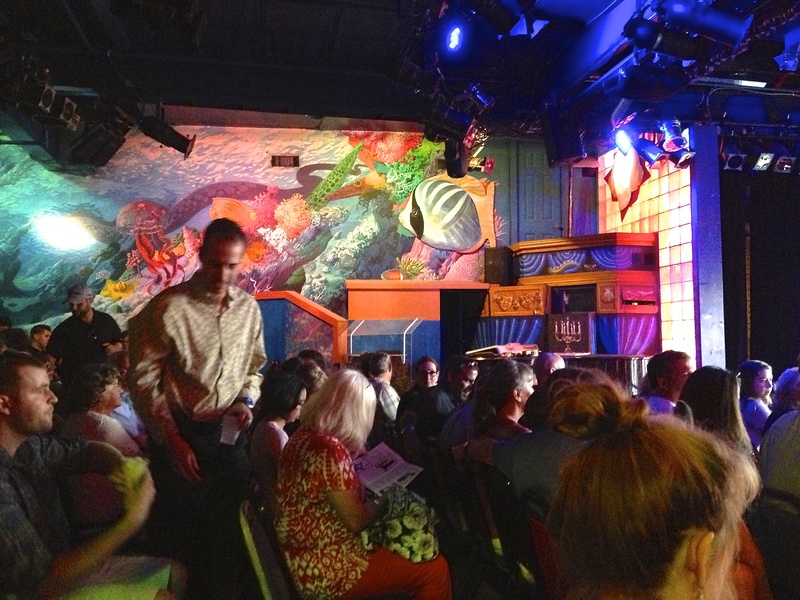 In the heart of beautiful 6th street in Austin, Texas is a historic little theatre located at number 521. It is the Cactus Theatre and the home of ‘Esther’s Follies,’ which in my opinion is one of the smartest, funniest and coolest revue shows to be found anywhere. 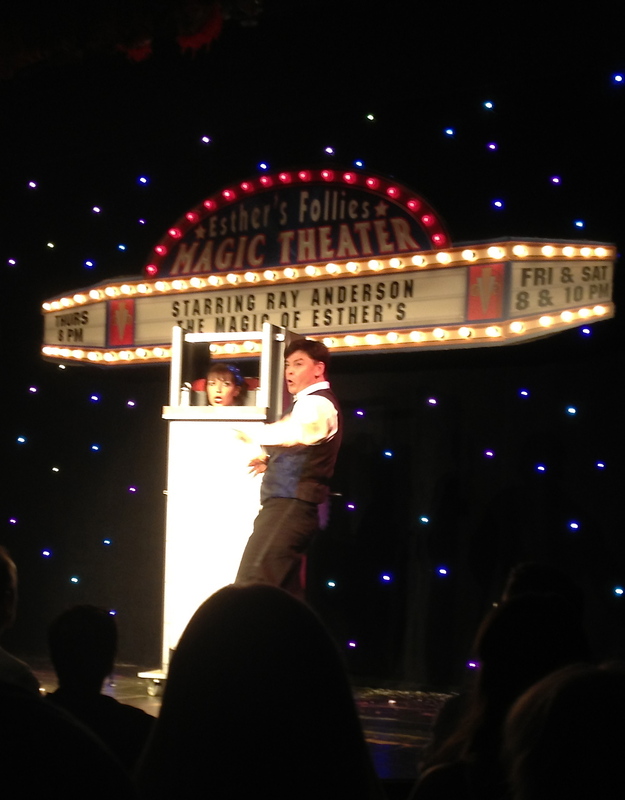 Featured in the show is Ray Anderson who has my vote as the funniest comedy illusionists in the world. In the 30s and 40s the Cactus Theatre was owned by legendary vaudeville performer Richard ‘Skinny’ Pryor, but the ‘Esther’s Follies’ band of entertainers started to create a legend in the Spring of 1977 when Michael Shelton and Shannon Sedwick leased the property. 35 years later it is a Texas classic and continues going from strength to strength. The name, décor and theme of the show are reflections of the late, great swimming and movie star Esther Williams. The show is a collection of political skits, sketches, singing, dancing, comedy and magic; that packs so much entertainment into 90 minutes that it is almost a feat of magic itself. It is as timeless as vaudeville and as topical as the morning news. 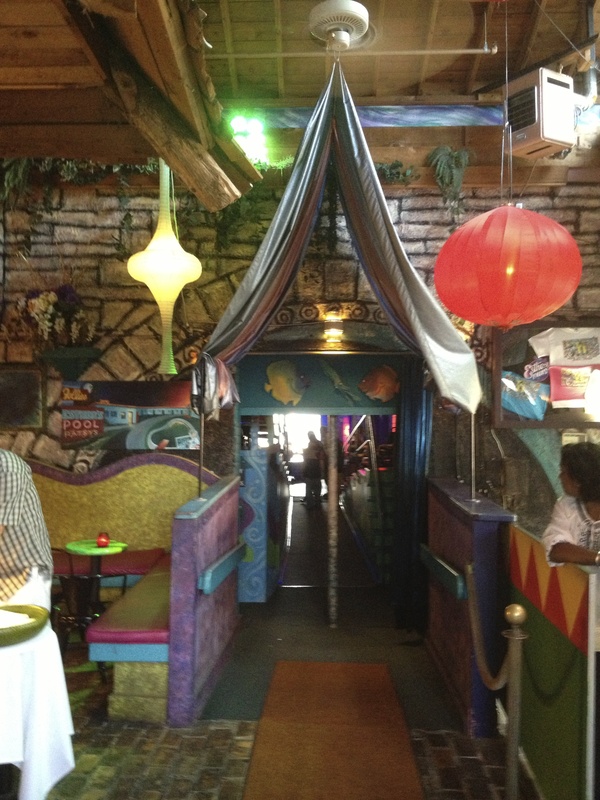 In fact, each night, the entertainment spills right out from the showroom and onto bustling 6th Street. The rear wall of the stage has two large windows that reveal all the action going on in front of the theatre. Every single inch of the theatre is also utilized to present a good-natured show that has the audience howling from start to finish. The team of players present their entertainment at such a whirlwind pace that you have to really focus to fully grasp what a talented bunch they are. I can’t speak highly enough about their individual and collective skills. Original owner Shannon Sedwick is still performing in the show and is a joy to behold. She sets the tone of versatility and talent that is the keynote of the troupe. The featured entertainer in the show is Ray Anderson, who has spent thirty years in the show, polishing his illusion, comedy, manipulative and audience participation into one of the most carefully constructed performances in the magic world. There isn’t a dull moment when Anderson is onstage. He has hit the point where there isn’t a wasted word or glance in his presentation; everything has a reason and a pay-off. Performing immaculate and inventive large-scale illusions, or parodying the genre, it is truly an object lesson in performing skills to watch as Anderson does his thing– Ray quite simply ‘owns’ the stage. When Anderson brings two assistants onstage to participate in his show, it is a primer in show biz savvy to see how they are treated as guest stars and become a major factor in the fabric of the show. The look of delight on their faces as they return to their seats in the audience says it all. 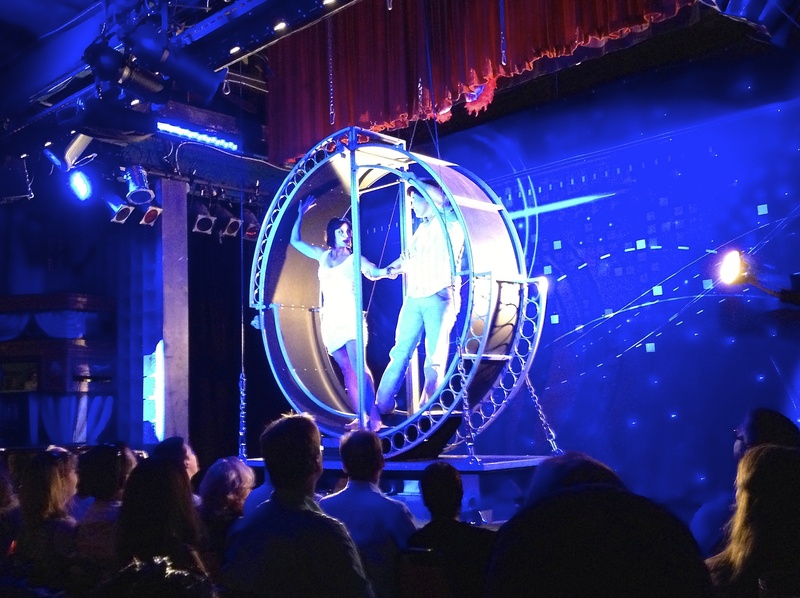 If you are visiting Austin it is a no brainer for any magician to catch this show as there is a huge amount to learn from it. If you are in the mood to laugh and learn– then fly into Austin and catch this show regardless of where you live. It is worth the journey. I have been playing Vegas since the 70s and living here for nearly 20 years and this show was more fun and superior to any magic/revue that I have seen in Sin City. I will be writing a full story on Ray and ‘Esther’s Follies’ for the next edition of ‘Vanish Magazine’ and go into more details about Ray and include photographs of the show. 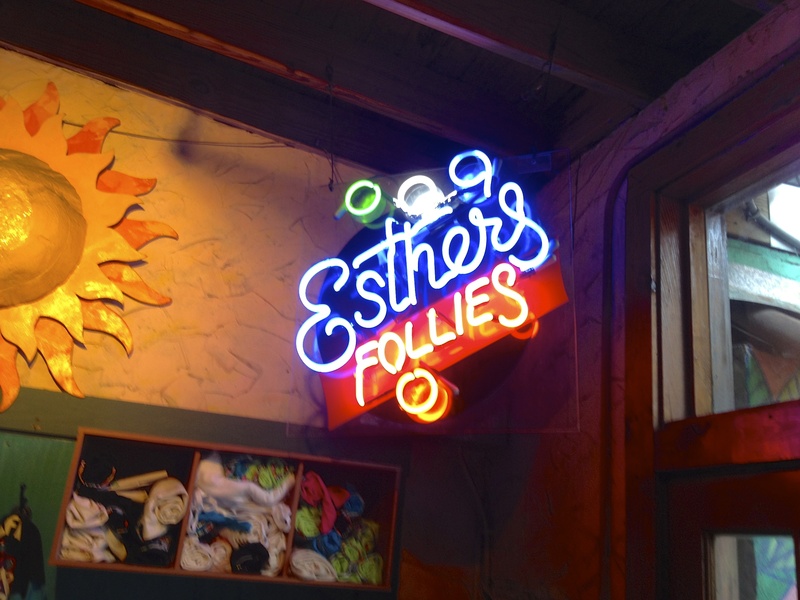 If you chance to find yourself in Austin (not many finer cities to be in) then contact the box office at www.esthersfollies.com and line up your tickets. The show plays 5 times a week with one show on Thursday and two shows on Friday and Saturday. The theatre was jam packed when we visited so book up those tickets in advance—you won’t be sorry! I wish some of the Casino showroom owners in Las Vegas would visit Austin and learn how to mount a really great show that doesn’t involve a single French Canadian acrobat! ~ by Nick Lewin on August 30, 2013. Sounds incredible, a wonderful Web page, congratulations. I am trying tro put together my Art & Magic show for Kids in Australia = take care and good luck = neilmcintyre571@yahoo.com.au ( Anyone with helpful hints and tips for a Kids show please conbtact me, I`m retired in Australia = Neil.